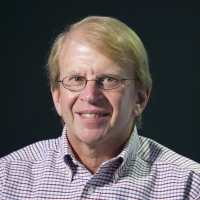 David W. Coit’s research interests are in the areas of system reliability modeling and optimization, power systems reliability, and multiple-objective optimization. He has been funded for his research from the NSF, U.S. Navy, U.S. Army, power utilities and industry. Supported by NSF grants, he developed system reliability models and algorithms to determine optimal system design configurations considering degradation and reliability estimation uncertainty. Working under a grant from a power utility, Prof. Coit and his students developed reliability importance metrics and optimal transformer replacement policies. He also previously worked for more than ten years at IIT Research Institute (IITRI), Rome, NY (now called Alion Science and Technology) where he designed and implemented reliability programs, developed reliability prediction models and conducted reliability analyses. Prof. Coit has received recognition for his research. In 1999, he was awarded an NSF CAREER grant to research system reliability design optimization with incomplete or uncertain component reliability estimation. In 2001, he was awarded the P.K McElroy award for best paper at the annual Reliability and Maintainability Symposium (RAMS) conference. In 2003, he was awarded the A. J. Golomski award for the best paper at RAMS by an IIE member, and in 2009, he was awarded the A. O. Plait award for the best tutorial at RAMS. 1. “Dynamic k-out-of-n System Reliability with Component Partnership” by David Coit, Nida Chatwattanasiri, Naruemon Wattanapongsakorn & Abdullah Konak Reliability Engineering & System Safety, vol. 138, June 2015. 2. “Reliability for Systems of Degrading Components with Distinct Component Shock Sets” by Sanling Song, David Coit & Qianmei Feng, Reliability Engineering & System Safety, vol. 132, December 2014. 3. "Accelerated Burn-in and Condition-based Maintenance for n-subpopulations subject to Stochastic Degradation,” Yisha Xiang, David Coit & Qianmei Feng, IIE Transactions, vol. 46, no. 10, October 2014. 4. "Reliability Analysis for Multi-Component Systems Subject to Multiple Dependent Competing Failure Processes," Sanling Song, David Coit, Qianmei Feng & Hao Peng, IEEE Transactions on Reliability, vol. 63, no. 1, March 2014. 5. "n-Subpopulations Experiencing Stochastic Degradation: Reliability Modeling, Burn-in and Preventive Replacement Optimization," Yisha Xiang, David Coit & Qianmei Feng, IIE Transactions, vol. 45, no. 4, April 2013. 6. "Electric Power System Generation Expansion Plans Considering the Impact of Smart Grid Technologies," Hatice Tekiner-Mogulkoc, David Coit & Frank Felder, International Journal of Electrical Power and Energy Systems, vol. 42, no. 1, November 2012. 7. "A New Multiple Objective Evolutionary Algorithm for Reliability Optimization of Series-Parallel Systems," Heidi Taboada & David Coit, International Journal of Applied Evolutionary Computation, vol. 4, no. 2, April/June 2012. 8. "Component Reliability Criticality or Importance Measures for Systems with Degrading Components," Hao Peng, David Coit & Qianmei Feng, IEEE Transactions on Reliability, vol. 61, no. 1, March 2012. 9. "System Reliability Optimization Considering Uncertainty: Minimization of the Coefficient of Variation for Series-Parallel Systems," Hatice Tekiner-Mogulkoc & David Coit, IEEE Transactions on Reliability, vol. 60, no. 3, September 2011. 10. "Multi-period Multi-objective Electricity Generation Expansion Planning Problem with Monte Carlo Simulation," Hatice Tekiner, David Coit & Frank Felder, Electric Power Systems Research, vol. 80, no. 12, December 2010.